NZIFF Auckland 2014 – Big Men (Rachel Boynton, 2013) | Shut Up Hamish! I’ve been checking out a bunch of films at the NZIFF Auckland leg, and it feels right to write up some thoughts on them. My selection so far has been dominated by documentaries; the Nick Cave day-in-the-life musical drama 20,000 Days On Earth opening the fest for me, followed by the questionable Kung Fu Elliot on the Sunday and a revealing look into oil mining in Africa, Big Men today. Amongst that I found the time to see The Young And Prodigious T.S. Spivet, a charming novel adaptation by the director of Amelie and Alien Resurrection, Jean-Pierre Jeunet. Of the films Big Men has so far hit the hardest. An incredibly thorough documentary from Rachel Boynton, who’d previously exposed the corruption of South American politics in Our Brand is Crisis (2005), now tackles the secret world of African oil deals. Boynton takes us deep inside the big players on all sides of the African oil war, the CEO’s of the American oil company Kosmos, the governments of Nigeria and Ghana as they do deals with the companies and the armed militants, unafraid to sabotage the oil extraction efforts to get a cut of the profit for their own people. Theres corruption on all sides and huge billion dollar deals but the bigger questions are asked; who is entitled to the money made from these oil deals? Will the impoverished people of Nigeria and Ghana see any benefits from the extraction of their countries own minerals, or will the money go straight into the pockets of the investors and the government officials? Boynton objectively documents the events and probes into players motivations, never directly passing judgement, letting the audience build it’s own opinion. It’s certainly a complex situation but the failings of the profit driven capitalist system are ever prevalent as is the systems victims, everyday family’s caught in the wake of the all consuming machine. 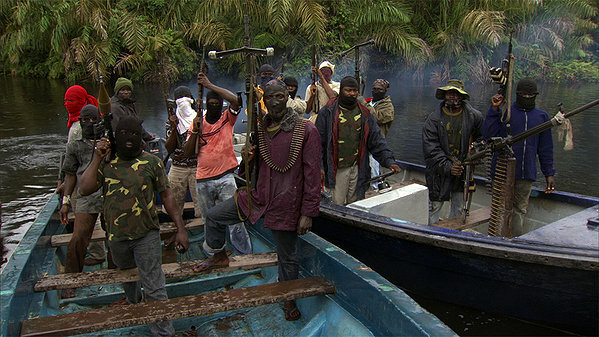 In this case the victims are the Nigerian and Ghana families; one could sympathize with the militants even as they wore balaclavas and held rocket launchers, mostly because as they explained, all they wanted was to leave something for their children and bring some of the profit from the oil drilling back into the community. 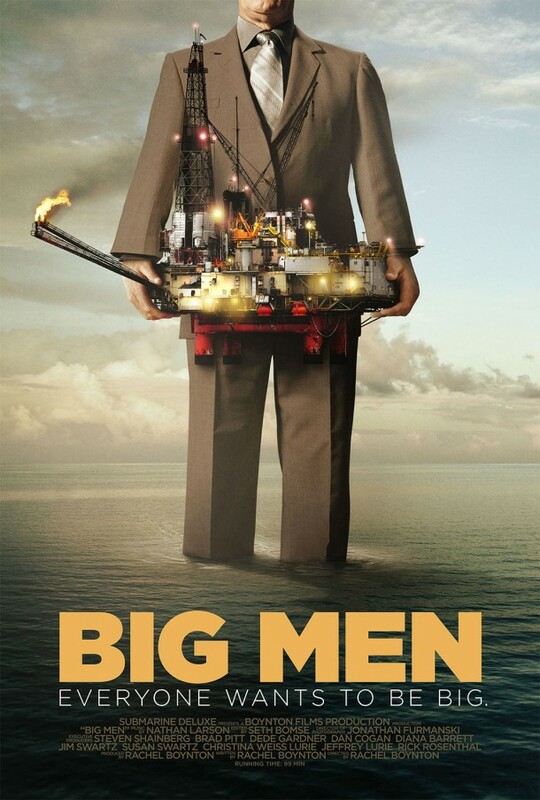 As the title suggests, all these major players are motivated by the desire to be big men, and Boynton looks at this ego-driven mentality as one possibility for the chaos that surrounds the business of extracting such in demand resources as oil. The CEO’s want to protect their reputation, the African government leaders want more for their country (and their own pockets) and the militants want the profit to be directed to the communities. These are the broad themes but the film also tackles specific deals, particularly between Kosmos negotiating with the Ghana government over the first drilling of oil within Ghana, documenting the financial collapse as it directly effects these events. I recommend the watch never the less.